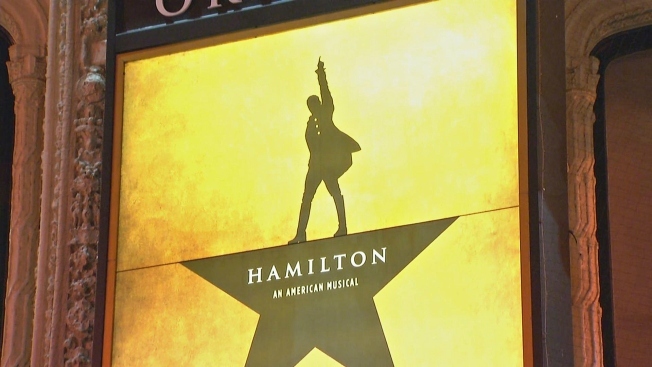 Don't throw away your shot at scoring tickets to see 'Hamilton' in Boston for a mere $10! Lin Manuel Miranda's award-winning production will have a two-month residency at the Boston Opera House and as done in past cities, a ticket lottery will offer theater fans the chance to see the musical for a steeply discounted price. A total of 40 seats can be purchased for $10 with the Ham4Ham digital lottery beginning Sept. 18 through Nov. 18. Hammies can enter the lottery using the official 'Hamilton' app or by visiting the site online. The lottery will open at 11 a.m. two days before each performance and will close at 9 a.m. a day prior. Those trying their luck will be notified whether or not they won by 11 a.m. Winners can purchase their seats for $10 online from 11:01 a.m. to 4 p.m. a day before the production. Each winner can purchase two tickets. You longer have to feel 'Helpless' can instead enter for your chance to win. For full details on the digital lottery, click here.